The program in Operations, Information and Decisions trains world-class scholars in the disciplines of decision processes, information systems, and operations management / operations research. The program emphasizes research that focuses on real management problems and maintains a balance between theory and implementation. The program is designed to admit and train a small cohort of exceptionally able PhD students who show promise for an academic career in fundamental and applied research and teaching. Applicants are expected to have completed introductory courses in economics and mathematics. Successful applicants typically possess a strong analytical background and an aptitude for analytical thinking. All applicants must take either the GMAT or the GRE General Test. The program permits custom-tailoring to each student’s interests. The early stage of the program establishes rigorous foundations through the departmental core (three courses). During this stage students also begin to specialize in coursework. The program provides opportunities for students to conduct research in the form of summer papers under the supervision of faculty members. These papers provide a transition from coursework into the dissertation phase of the program. The Operations, Information and Decisions (OID) Program at the Wharton School is one of the largest PhD programs among top business schools. This affords us the ability to have the majority of our PhD courses taught by our own faculty. Both our department and the School are consistently ranked #1 by a variety of academic and business publications*. The PhD program in OID exists within the Wharton School, a business school; however, most students come to us with backgrounds in engineering, the humanities, or the sciences and some have extensive previous training in business or economics. 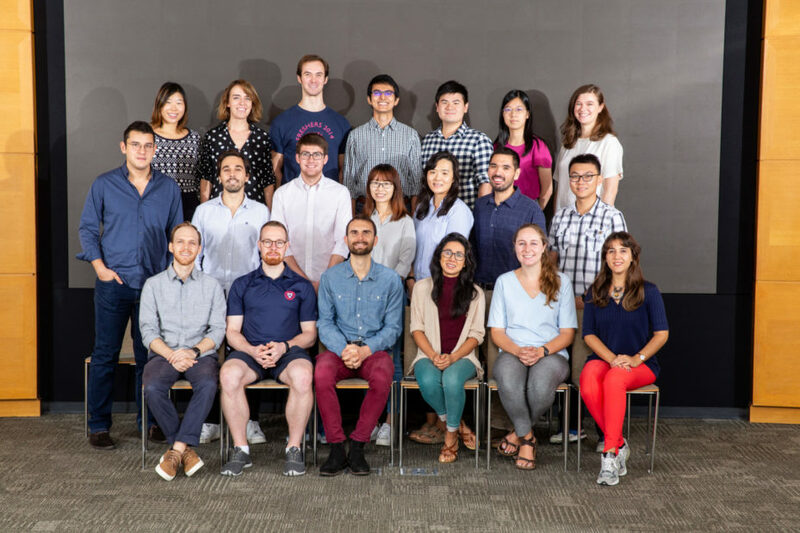 Our diverse group of doctoral students comes from top undergraduate and graduate institutions from around the globe: Chile, China, India, Israel, Italy, Russia, Spain, Turkey, and the United States, to name a few. Each year we admit up to 8 new PhD students to our program. Because applicants come from many different countries with varying methods for ranking grade point averages (GPA), we do not list a specific requirement for our program. Instead, the selection process focuses on the quality of academic preparation and work done as an undergrad and/or professionally. To get more specific information about the requirements for a Wharton PhD in OPIM, please visit the Wharton Doctoral Programs website. Find out more about the Operations, Information, and Decisions programs of study, as well as departmental and specialization and requirements. View the Operations, Information, and Decisions course information, descriptions, and schedule with links to syllabi.